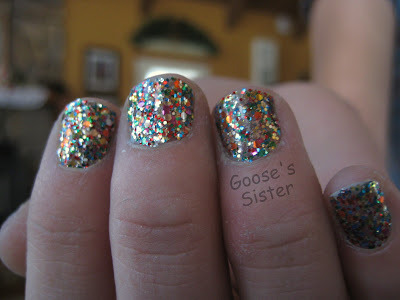 Goose's Glitter: Happy New Years! This is one coat of Zoya Trixie with two coats of China Glaze Nova on top. 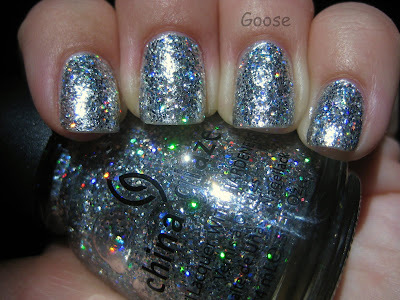 This is probably the most blingy mani I've ever worn. Check out that rainbow-y sparkle! 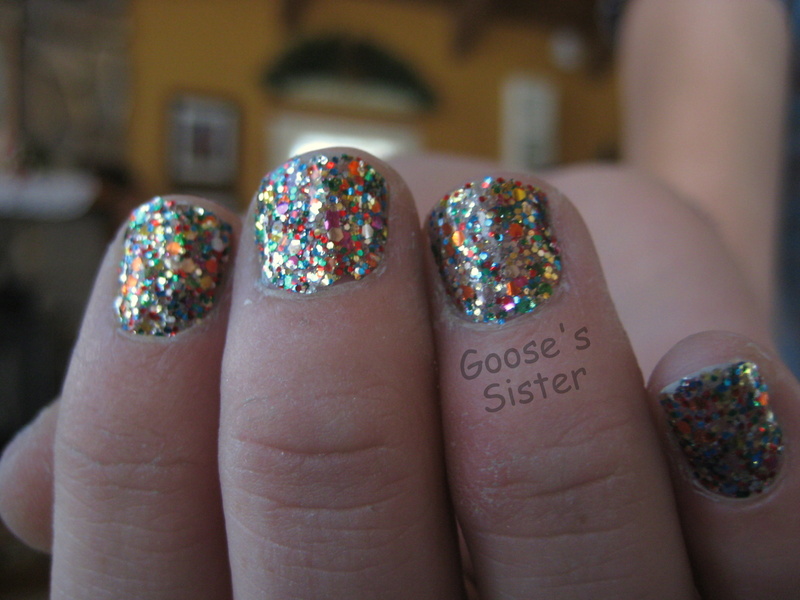 I got my sister some of the Sally Hansen Salon Effects for Christmas in Frock Star, and she decided to use them for NYE. These are really cool (very much like Incoco), and I will be doing a review post on another design from this line very soon. 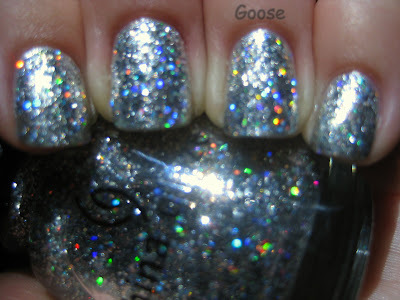 This one looks like a dupe for Lippmann Happy Birthday, but I don't have it, so I can't compare. And these are my Mama's NYE nails. 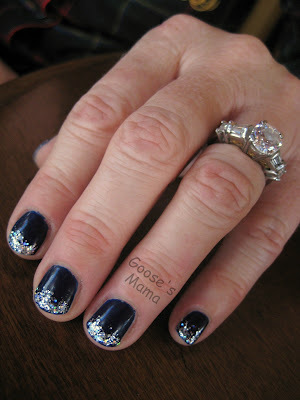 I used Barielle Berry Blue (2 coats), then used Nova to create the glitter gradient. What's your favorite polish for New Year's Eve? Bank of America - Warning!